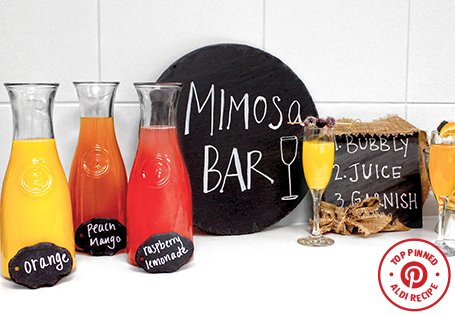 The perfect twist to elevate your traditional mimosa! Pour desired amount of champagne or sparkling wine into champagne glass. Top with your choice of juice. Garnish each glass with favorite garnish.